There’s been a lot of talk about the minimum wage over the last few years. If you’re a business owner in Montana, it’s important to keep up with the conversation, especially as it relates to changes in pay. So we’ve created this guide, just for you, to get better acquainted with the minimum wage in Montana. The minimum wage rate in Montana is currently $8.50, which is $1.25 higher than the federal minimum wage rate of $7.25 per hour. 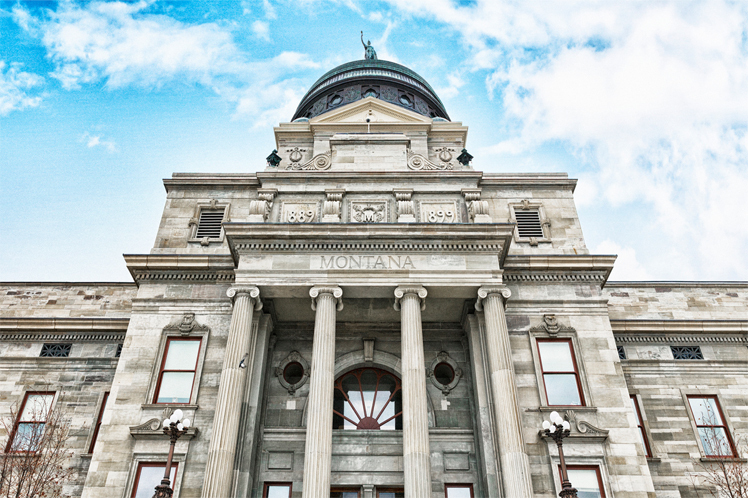 Montana’s hourly rate increase went into effect on January 1, 2019. In 2006, Montana residents voted to raise the minimum wage and adjust the rate annually for inflation. Using the Consumer Price Index for urban consumers, or CPI-U, a new minimum wage rate is calculated each year. In 2018, an estimated 1.8 percent of Montana’s workforce earned a minimum hourly wage of less than $8.50. That’s about 8,200 workers. Most of those workers were in the accommodations and food services industry, and the retail trade industry, according to 2017 reports. Businesses that aren’t covered by the federal Fair Labor Standards Act, with gross annual sales of $110,000 or less, can pay their employees $4.00 an hour. However, individual employees who produce and move goods between states, or are covered by the federal Fair Labor Standards Act,“must be paid the greater of either the federal minimum wage or Montana’s minimum wage.” In this case, Montana’s minimum wage is greater, so these employees must be paid $8.50 an hour. The minimum wage for tipped employees varies based on the employer’s gross annual sales. Select employers may pay full-time students 85 percent of the Montana minimum wage. Employers may pay new employees who are 20 years old or younger a training wage of $4.25 per hour for the first 90 days on the job. The hourly minimum wage in Montana went up 20 cents on January 1, 2019. Because of a 2006 vote, the minimum wage rate is revisited and adjusted each year to account for cost of living increases. Montana joined 18 other states in raising the minimum wage for 2019. The federal minimum wage rate has stayed at $7.25 for the last 10 years. Many liberals see ballot initiatives, such as the one Montana voters used to raise its minimum wage, as the only tool to see regular increases. Montana residents voted in 2006 to adjust the rate for inflation each year. Because of this, the minimum wage rate in Montana could increase each year, depending on inflation. Figure out expenses: Yes, it can be scary to see the minimum wage rate climb 20 cents in one year. But the best way to tackle this news is to figure out how much the increase is going to cost your business. Analyze your cash flow — everything from revenue and profit to expenses. That’ll help you make a hiring plan so you’ll know how many people you can have on staff without losing money. Evaluate your hiring practices: The hiring process can be costly. And your team can make or break your business. Make sure you are getting the right people in the door. Cast a wide net when looking for new additions, and once they join, make employee retention a top priority. Automate where you can: How much time are you spending tackling tasks manually? Automating time-consuming tasks like payroll allows you to save time and money. This will give you more time to spend growing your business.